The Black Caps lost their 1st ODI series of the year to India, 1-4 after their successful 3-0 series win against Sri Lanka in January. They did come back well in the T20I series defeating the visitors 2-1. Kane Williamson will be leading New Zealand in the 1st 2 ODI matches, while Tom Latham will be the captain for the last ODI. Williamson had scored a fifty at this venue against India in the recent series batting at number 3. While their opening duo has failed to give them big partnership at the top, the onus of scoring runs has been on the middle order. In their last ODI against India, Kane Williamson along with Tom Latham together added 77 runs for the 4th wicket after the Black Caps were 38-3. James Neesham (44), Tom Latham (37) and Kane Williamson (39) were the top scorers for New Zealand in their chase of 253 as they lost by 35 runs. Colin Munro is not a part of this squad, which means, Henry Nicholls will likely open the innings with Martin Guptill. Nicholls was out for 12 batting at number 6 in the 1st ODI that was played at this venue in Napier. He can be very dangerous up the top, and with Williamson and Ross Taylor to follow at number 3 and 4, the New Zealand side sports a good batting line-up. In the bowling department, Matt Henry was successful against India, along with Trent Boult, both of whom picked combined 7 wickets in the last ODI restricting Indian side to 252-10. They have 3 all-rounders in their side, with James Neesham, Colin de Grandhomme and Colin Munro, all of whom will be keen to get their form going against Bangladesh. Bangladesh defeated the Windies 2-1 in their last ODI series at home and will be entering this series without their top all-rounder Shakib Al-Hasan. The top order that consists of Tamim Iqbal, Liton Das and Soumya Sarkar are good hitters of the ball in the Powerplay. If the Bangladesh top order survives first 15 overs, they would be looking at a decent total enough for their bowling attack to defend. The strength in the Bangladesh batting line-up is in the middle with the likes of Mushfiqur Rahim and Mohammad Mithun , Mahmudullah who can play a controlled innings if the situation demands. Their batting skills in the middle and their significance in that position was seen in the recently concluded BPL, and the practice match against New Zealand XI. Both Rahim and Mahmudullah scored fifties in the practice match, while their top 3 batsmen were out for under 10 runs. 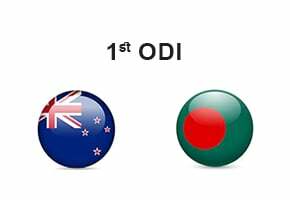 They have all-rounders in Soumya Sarkar and Mahmudullah, both of whom can pick wickets at crucial stages. Mustafizur Rahman is best of the lot when it comes to economy, while Mehidy Hasan and Nayeem Hasan would be crucial at this ground with their spin. 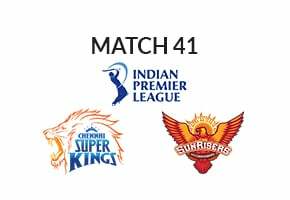 In the last match played here, Yuzvendra Chahal and Kuldeep Yadav had picked 6 wickets among themselves, and the Bangladeshi spinners who had a great BPL season will be looking to continue their bowling form. Both teams are in same form in terms of statistics as both have won 50% of their last 6 matches. While New Zealand have won 10 matches head to head against Bangladesh since 2015, Bangladesh have defeated New Zealand on 2 occasions. New Zealand has a strong bowling and batting attack, though the batting failed in the recent ODI series, the Black Caps will be keen on winning this series in stern up to the World Cup 2019.